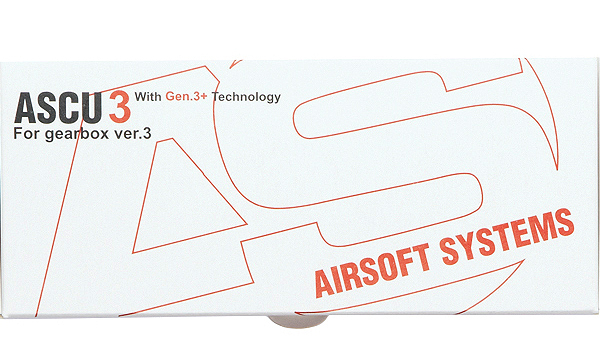 The ASCU Gen.3+ (Airsoft Smart Control Unit) is a electronic module, that makes every standard AEG with Marui type Ver. 3 gearbox, work exactly as the most expensive and sophisticated Airsoft rifles known as Professional Training Weapons. The new 3+ generation unit is smaller and has more features. It has 7 selectable modes of function, like 3-round burst, if the trigger is released before the third shoot in Full-Auto mode, if the trigger remains pressed the AEG will continue to fire until trigger is released. The ASCU Gen.3+ system monitors the operation of the AEG in any time, and no matter how fast you tap the trigger, the AEG will always complete the full cycle, no matter if you shoot in Semi or Full Auto mode. After each shot or burst the piston will stop in its foremost position. It features an integrated Low Drain Protection, specially designed to keep LiPo batteries from damage. (Remember to dismount your battery when done using). The ASCU Gen.3 will also stop the AEG firing if any mechanical problem occurs in the AEG, which protects the internals of the gearbox from further damage. The unit is easy to install in all AEG's with Ver. 3 gearbox, but should be installed by a skilled technician. Always completes full cycle of the gearbox. Crisp and realistic trigger feel. Compatible with all kind of batteries, gears and springs. Battery deep drain protection integrated. 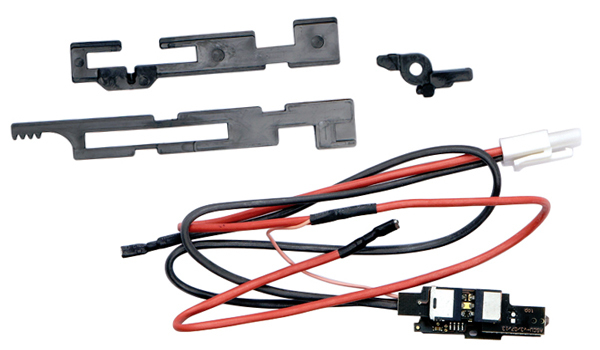 Safe for LiPo batteries with automatic power cutoff. Important: The ASCU works properly only with motors with strong magnets, With cheap and weak magnet motors the active brake will not be effective. We recommend using ULTIMATE motors, the most sophisticated motor in the industry. We strongly recommend that the ASCU should be installed by an experienced Airsoft service.